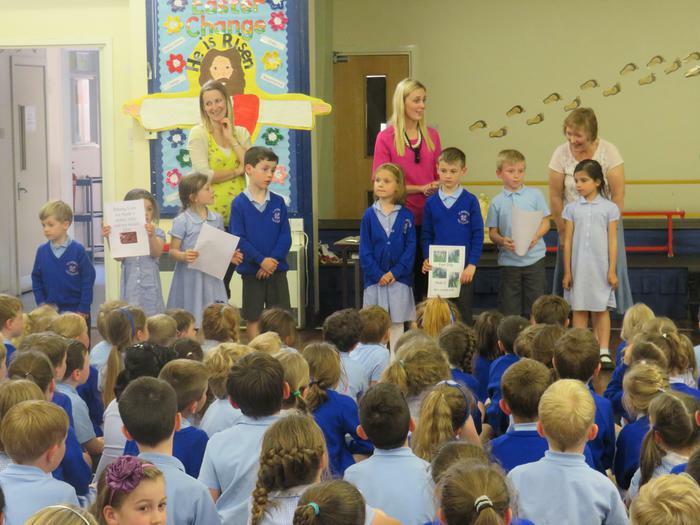 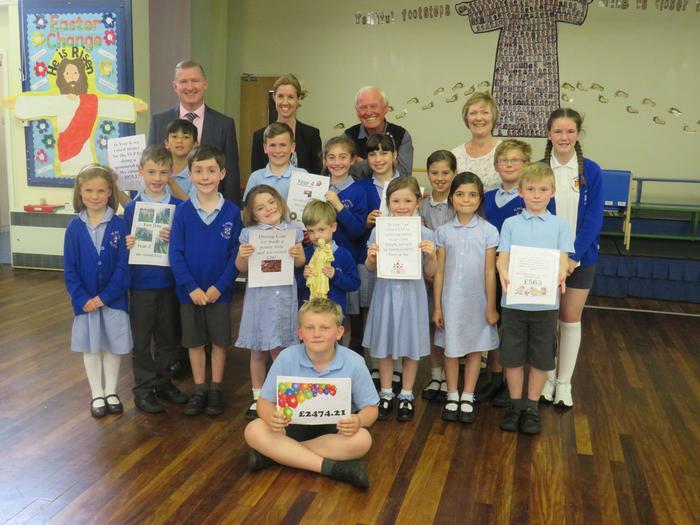 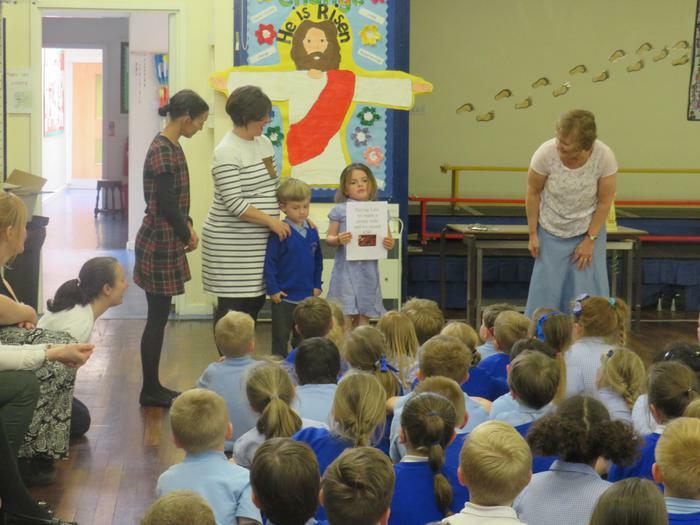 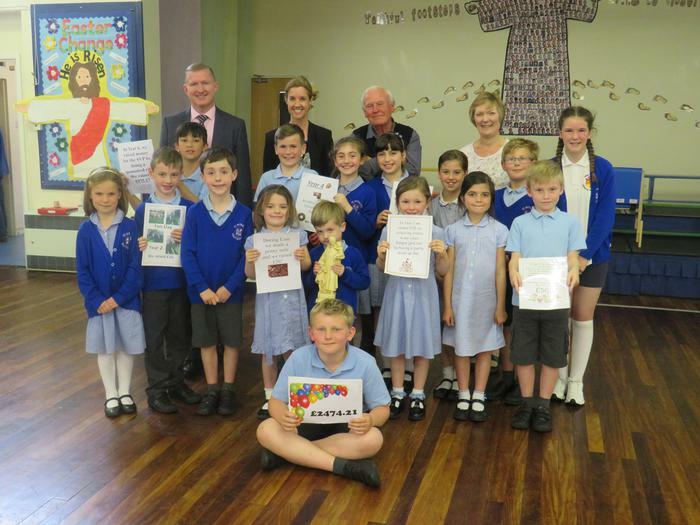 During Lent 2016 children have worked hard raising money for the St Vincent de Paul Society. 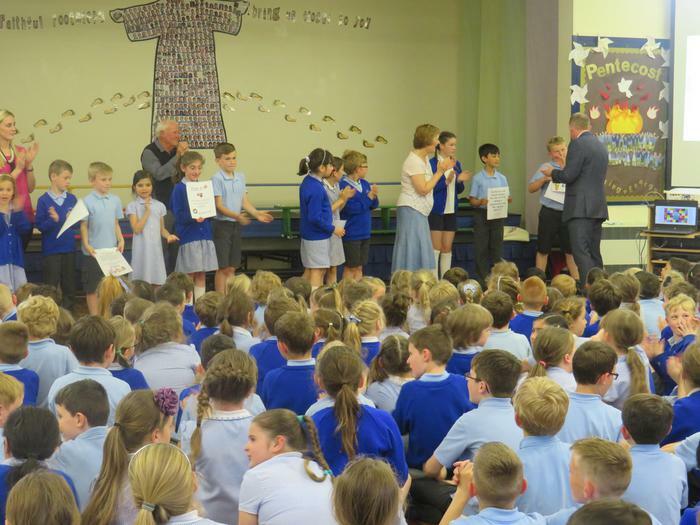 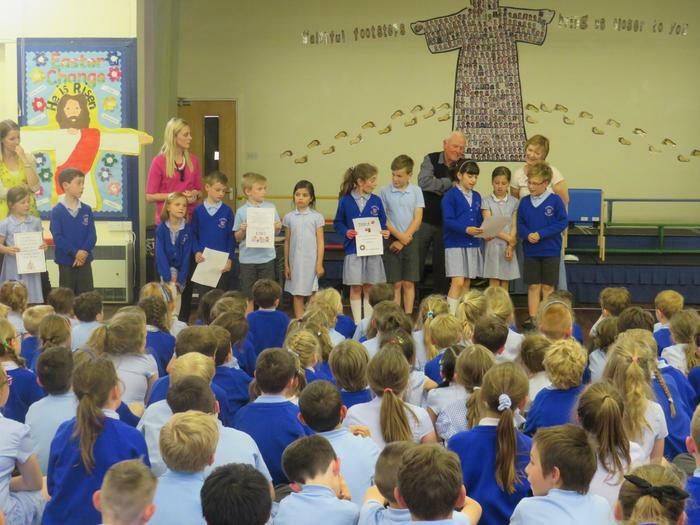 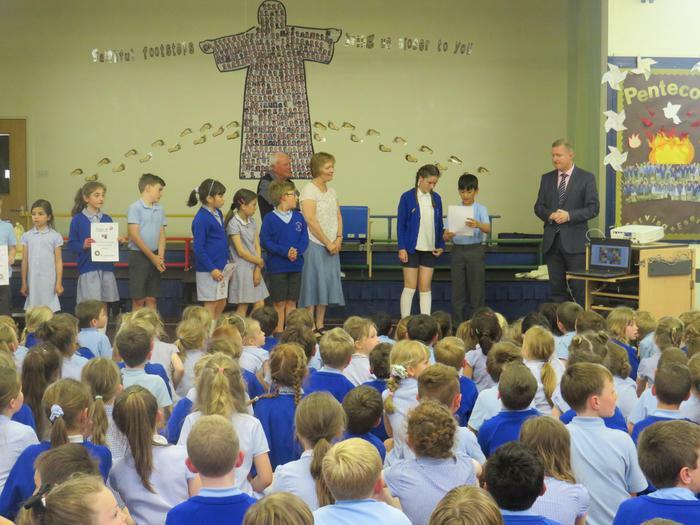 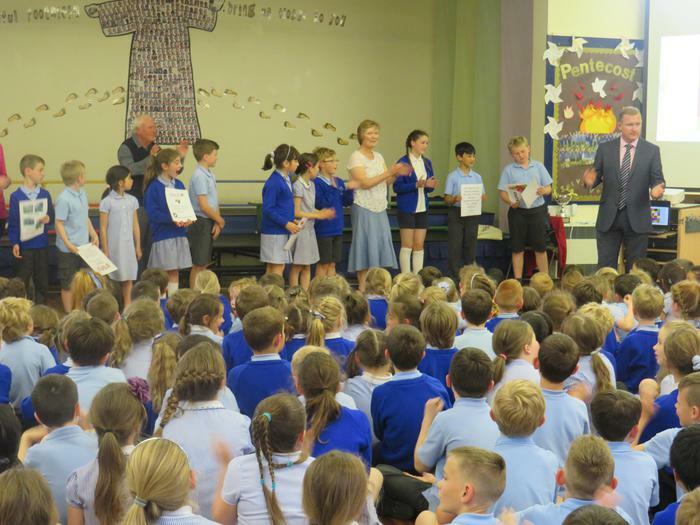 Each year group organised their own activities which ranged from penny towers, to a sponsored run around the field for Year 6, basketball shoot out in Year 3, raffles and much more. 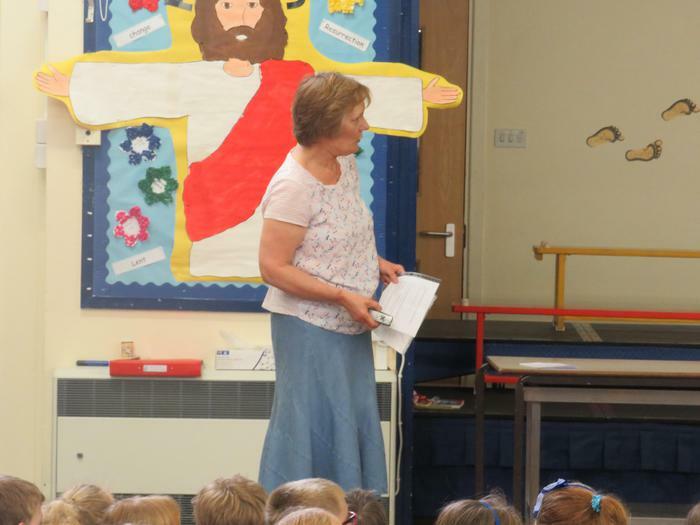 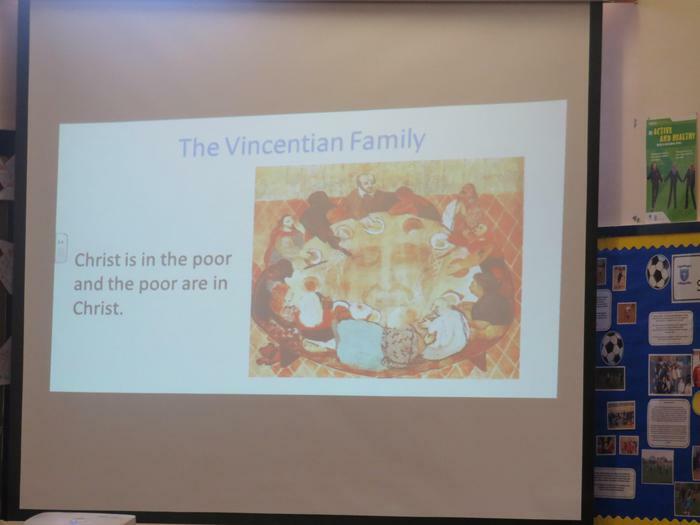 On Friday 27th May Sheila and Vincent from the SVP came along to our school assembly to tell us more about their work. 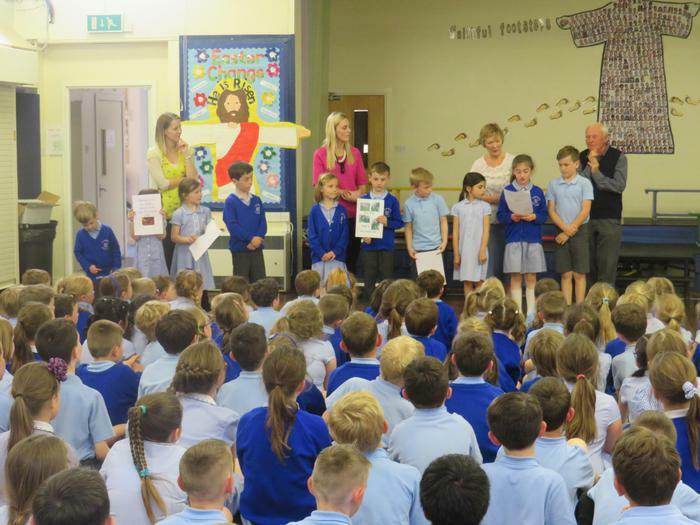 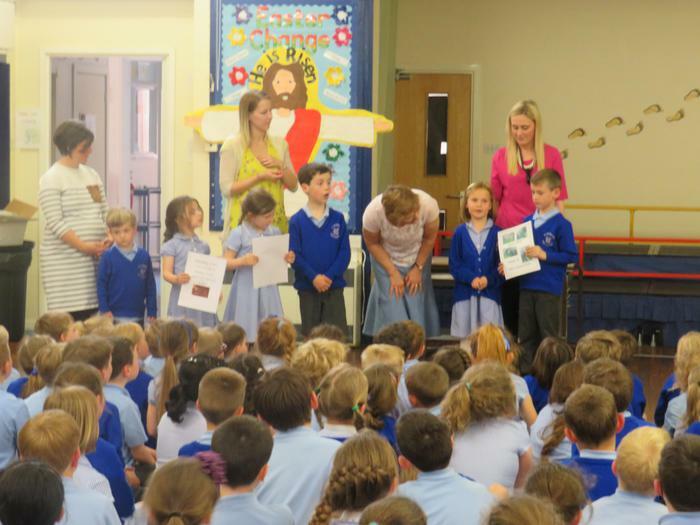 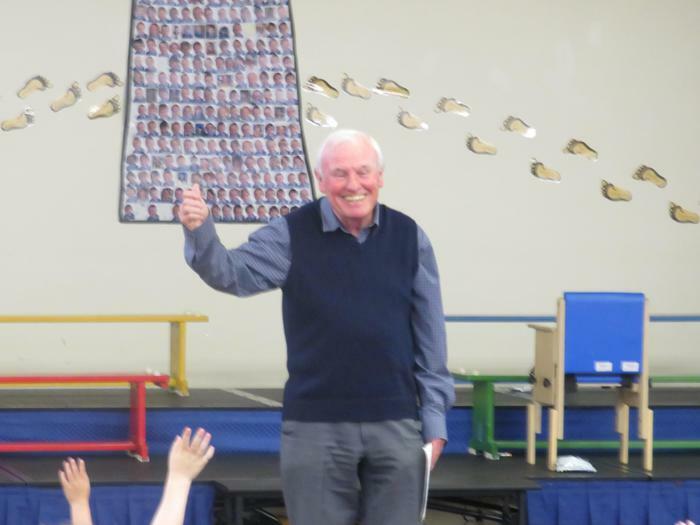 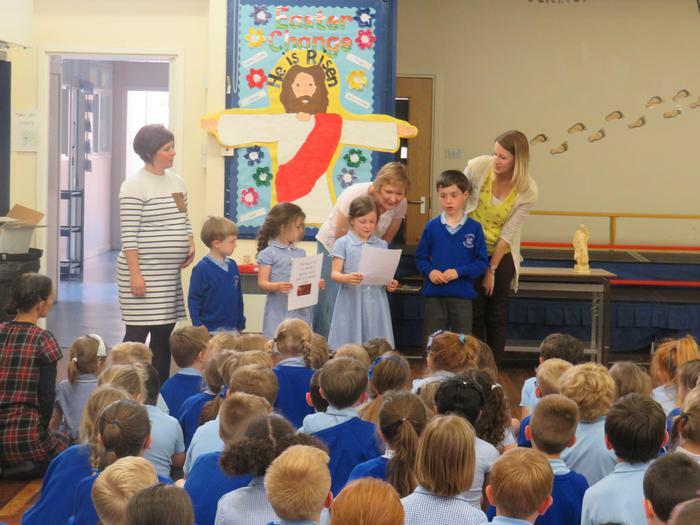 During the assembly children from each year group told our visitors what they had been doing and how much they had raised. 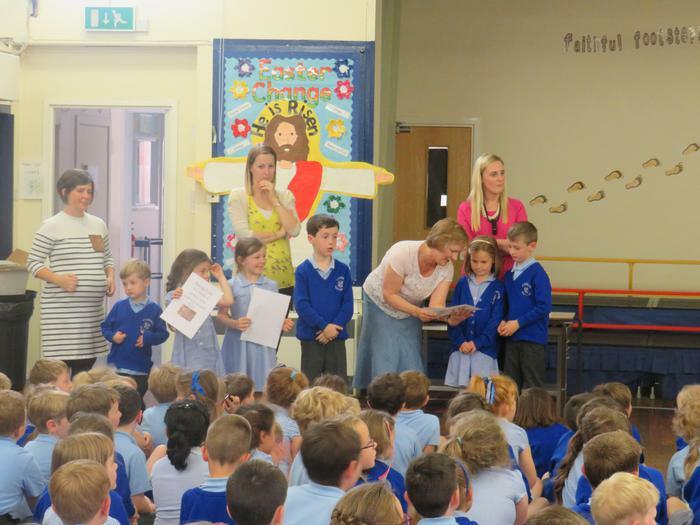 In total the children had raised a fantastic told of £2414.21!! 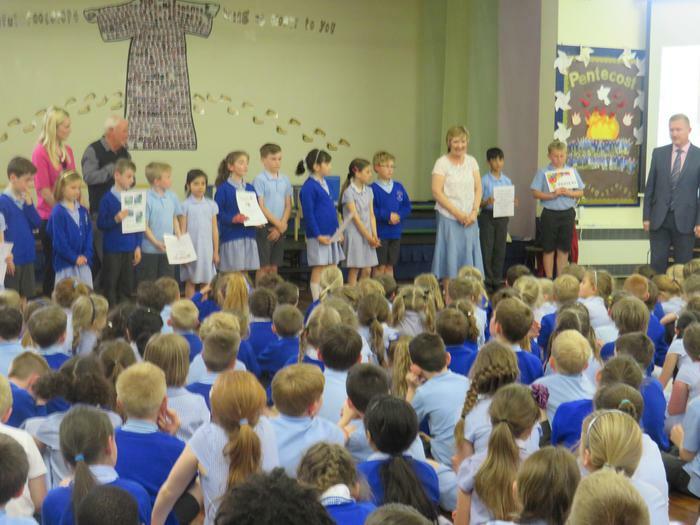 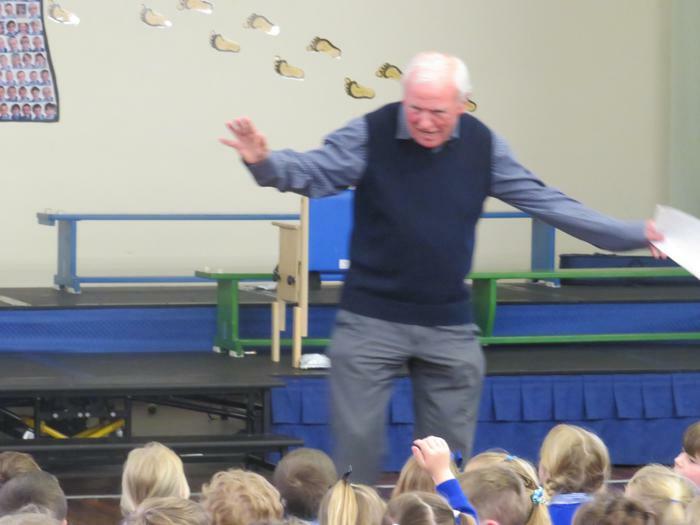 Sheila and Vincent were amazed and thanked the children for their efforts. 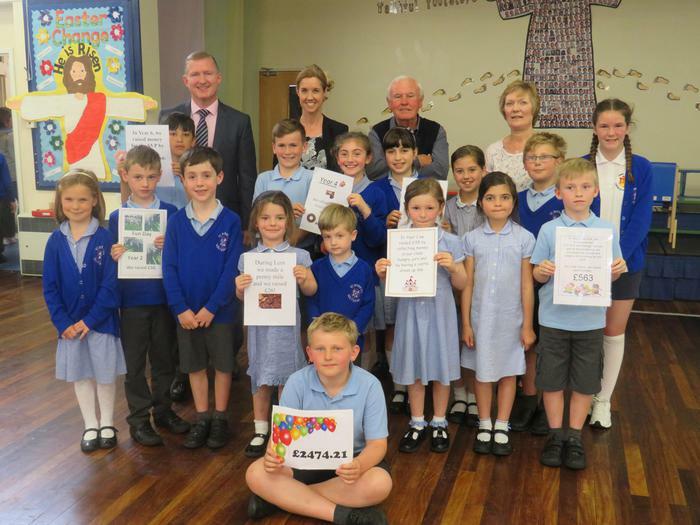 The money will support the work of the SVP in the parishes of St.Patrick's, St.Marie's and Holy Family.